It is a known fact that India is a cricket crazy country. One might even say that in India, Cricket is considered to be nothing less than a religion. People have a huge affinity for the game, which is an audience magnet. Thus, it is an amazing opportunity for advertisers to reach the audience and increase brand visibility across their audience segments. Cricket being an international sport, cuts through borders to reach viewers across nations. As per data, the ICC World Cup 2019 will be broadcast to more than 1.5 billion people across the world. Now, owing to the technological advancements, there has been a change in the viewing patterns. With the increasing internet and mobile penetration, low-cost data and affordable handset prices, young viewers are preferring to consume the content on-the-go. This is true even in rural areas and tier II and III cities. Thus, the viewers are switching to digital platforms instead of going with the traditional mediums like TV and radio. To cite an example, team India’s recent Australian tour was viewed for a total viewing time of more than 7 billion minutes by a whopping 50 million viewers on the SonyLIV app. As viewers flock the video streaming apps and digital platforms to catch the game and get the live updates, programmatic advertising offers the perfect way for brands to reach these viewers and sports fans. With the use of Data Management Platforms (DMPs), which are an integral part of the programmatic advertising ecosystem can be used to target the right audiences, especially the ones who are interested in sports, and especially cricket lovers. They can also help to decide which mediums and channels will work best for a particular audience segment. 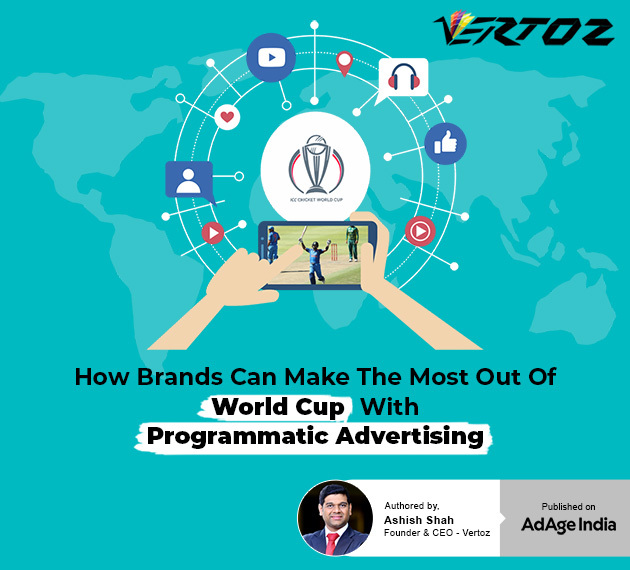 Click here for more details on how programmatic advertising can help brands to make the most out of this World Cup season.